Toa Oil Company Refinery, 2014. Detail. 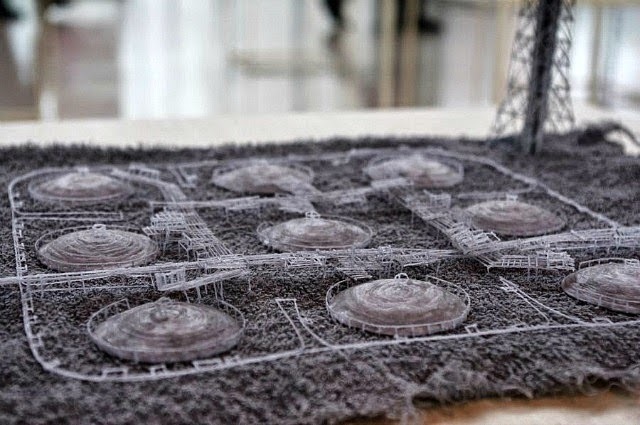 Japanese artist Takahiro Iwasaki used matted human hair to create some of his recent works. 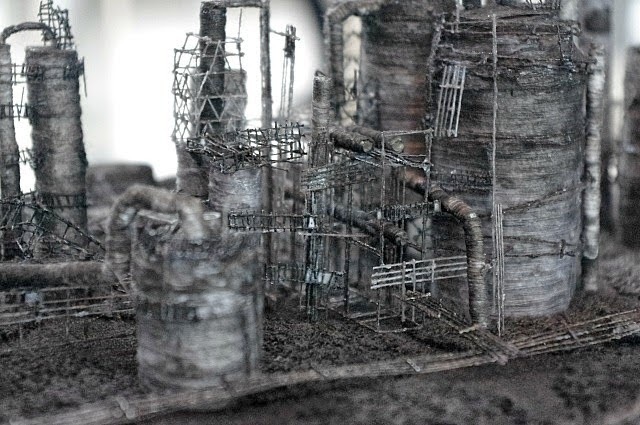 Commissioned by the Kawasaki City Museum and the Open Museum Project for the exhibition (and the artist's on-going project) Out of Disorder, Iwasaki's miniatures of Kawaski's industrial landscape were made from hair, textile fibers, and dust and inspired by the land razed by WWII air raids, a devastation to Japan with which little can compare. 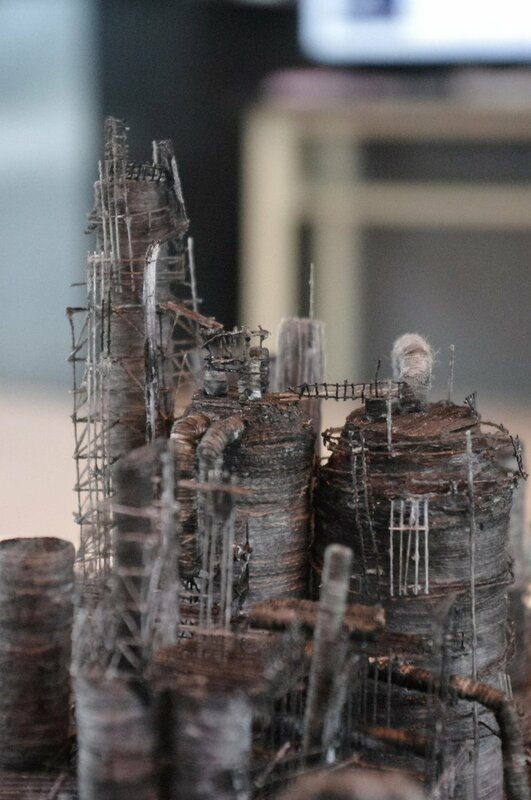 With the frailty of materials at the fore, each diorama seems a melancholic poem to the vestige of Japan's earlier strength, yet their morbid palate of greys also evoke the soot, smoke and fog of Victorian England, the destructive visual leveling of volcanic ash, a post-apocalyptic scene, and shades of grey of the dying and decay of the body itself. 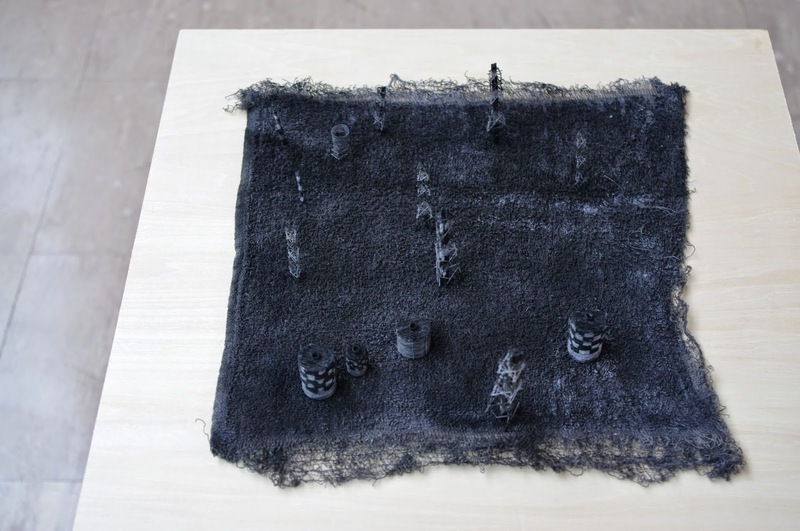 TAKAHIRO IWASAKI was born in Hiroshima Japan and studied MA Fine Art at Edinburgh College of Art in 2005. 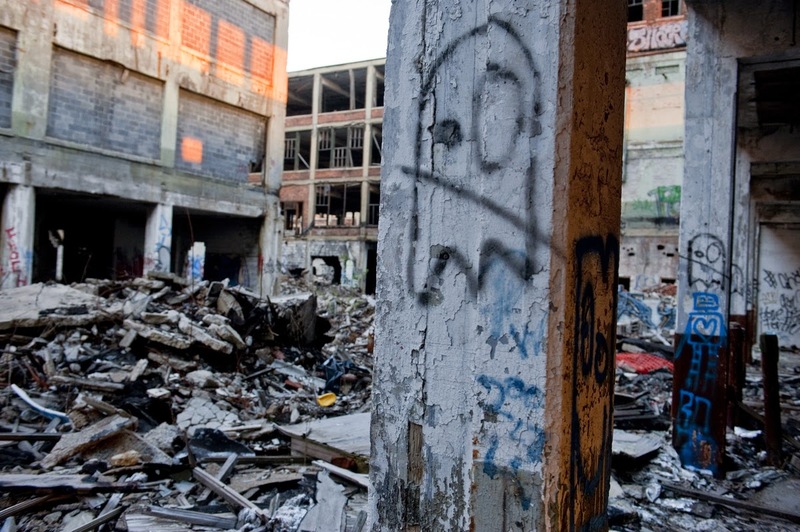 Out of Disorder ran Feb 15 - Mar 30, 2014. Higashi-Ohgishima LNG terminal and Ohgishima thermal power plant 2. 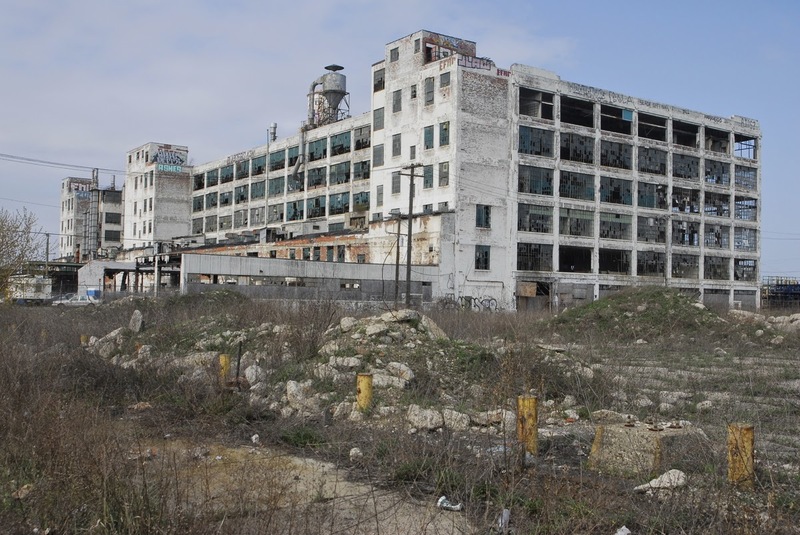 But let us linger on nostalgia only briefly, for how can we not be reminded of the more recent urban devastation of Detroit? there is only so much that the past can offer a nostalgic consciousness, which has nothing to offer but the guarantee of its spectatorship, of looking and watching—the docile view...the nostalgic wants to extinguish the world so that it can be perfected imaginatively. This has traditionally been the special enterprise of art. 3. 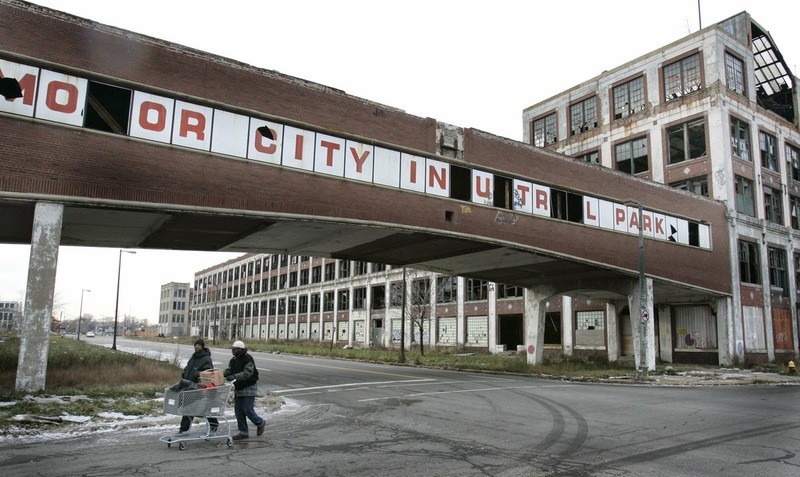 In this Dec. 11, 2008 file photo, pedestrians walk by the abandoned Packard plant in Detroit. 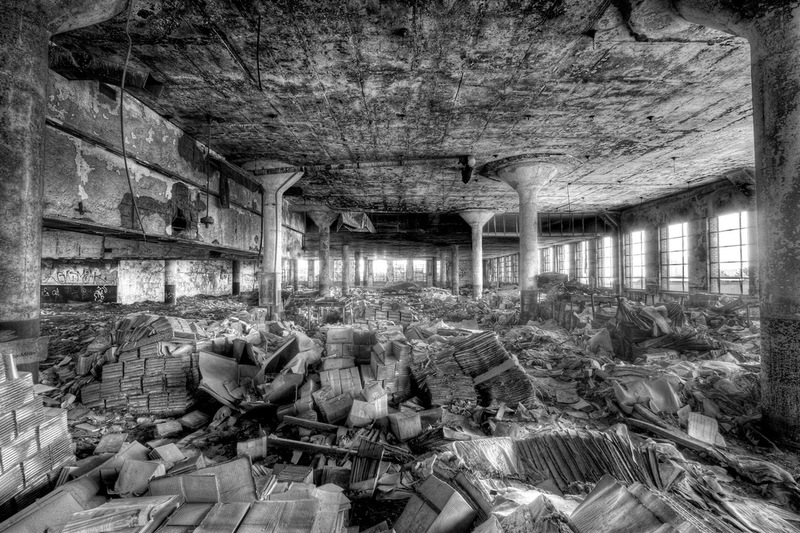 The abandoned Fisher Body Plant. 4.